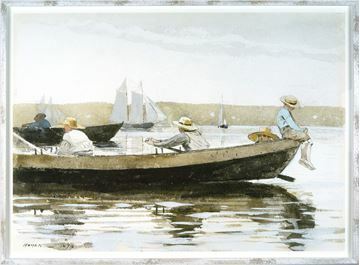 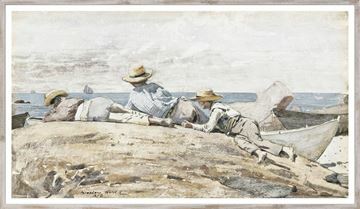 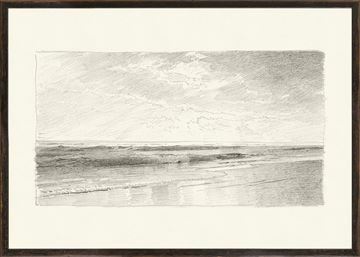 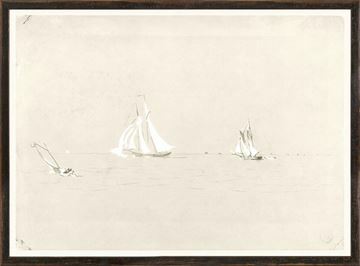 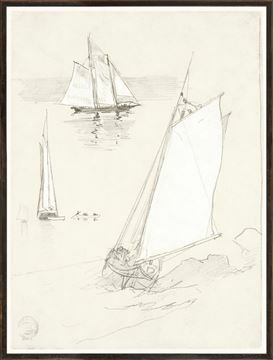 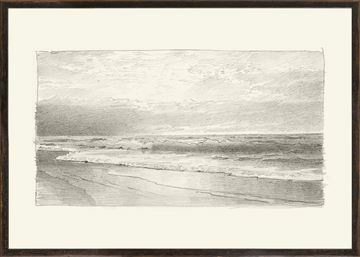 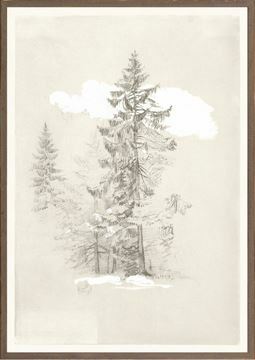 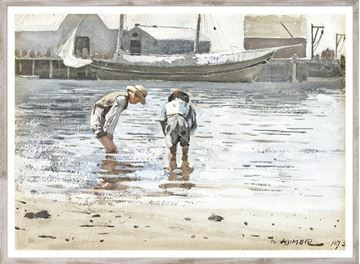 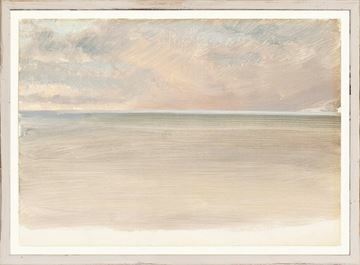 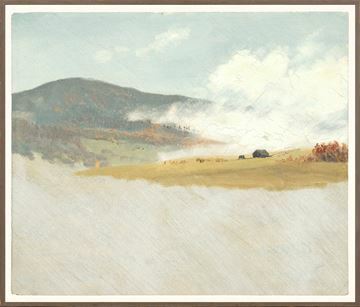 A beautiful set of historical drawings and paint sketches by Winslow Homer, Frederick E Church and William Richards that co-ordinate perfectly together. 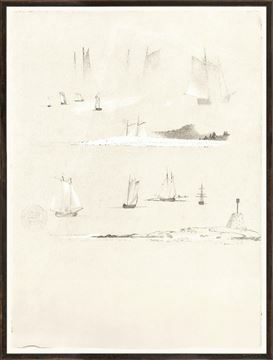 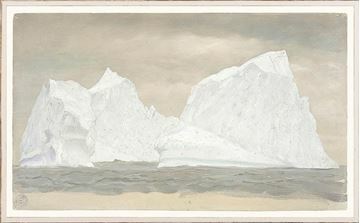 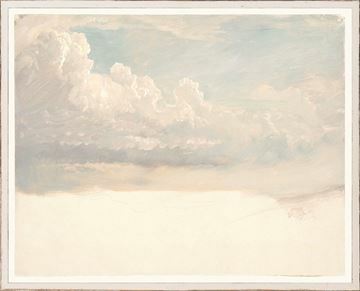 Pastel cloud sketches, pen and white wash drawings of boats, deer and forests mix with seascapes and intriguing ice bergs. 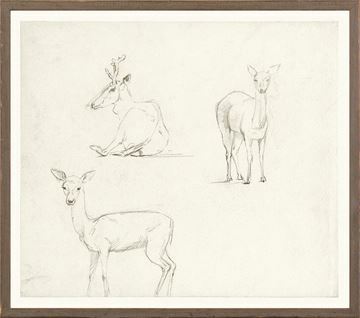 Each is framed in a variety of distressed ivory or light or dark wood frames.